As part of a global transformation of its supply chain operation tyre manufacturer Michelin has turned to JDA Software. Several years ago, Michelin moved to transform its sales and operations planning (S&OP) systems to deal with what it perceived to be “several challenges it was facing.” The firm’s supply chain complexity had increased substantially and had become more difficult to manage due to scarce capacity, a growing portfolio of tyre types and a significant increase in parts. Additionally, the tyre market in which the company operates had also become increasingly volatile and competitive, as well as impacted by seasonal demand. After analysis of its existing S&OP processes, Michelin realised it needed to replace its legacy tools and systems. The result was the Sharp S&OP project which kicked off in January 2018 worldwide across Michelin business units. The project uses the JDA S&OP solution at its core. Legacy tools and processes used by the Michelin business units were heterogeneous. It deemed that they lacked the flexibility necessary to support its S&OP transformation. “Our previous S&OP capabilities relied on multiple non-interfaced software applications. This resulted in many data issues and inefficiencies, and insufficient confidence in the plan,” said Ali Abdessamad, business process leader for mid-term supply chain processes, Michelin. This is a major win for JDA. Michelin operates in more than 170 countries and runs 68 production plants in 17 different countries. In addition to the Michelin brand, the company owns a portfolio including BFGoodrich, Kleber, Tigar, Riken, Kormoran, and the Uniroyal brand. 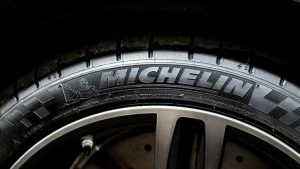 Michelin deployed an ‘agile implementation approach’ to the roll out of the project. This saw the company deliver what it calls ‘a sequence of three-week sprints’ of designing, constructing, testing and validating of the solution. This methodology enabled the team to learn and mature quickly in their use of the JDA solution. Cut him in half and the word technologist runs through Neil Fawcett’s core. Starting life as an engineer, specialising in the world of home computing, Neil the move to writing in 1985 and as the expression goes… never looked back. He was key to moving Computer Weekly away from its bias as a mainframe/minicomputer news title and propelled it into the exciting world of personal computing, breaking many an exclusive story. Following his tenure at CW he went on to work for various other publications, including participating in the UK launch of Information Week. During this time, he played a pivotal role in establishing custom publishing units designed to work alongside vendors to help define end-user publications and campaigns. Neil’s ability to take complex technology subjects and deliver digestible content frequently saw him appear on the likes of the national newspapers, the BBC and Sky, and often found himself delivering speeches to audiences around the world. With numerous books under his belt, Neil took time out in the new millennium to pursue a passion for toys/gaming and military history as he set up a manufacturing company with a global reach. He is now thrilled to have come full-circle and be back writing about his core passion: technology! Is your mobile leaking encryption keys?